If you know me well, and/or follow me on twitter/instagram, you'll know how absolutely obsessed I am with the love of my life, my dog, Roxy. 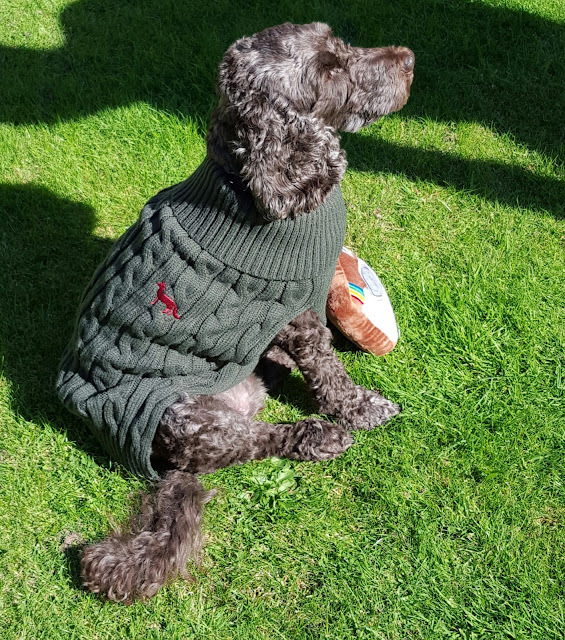 The wonderful team at PetLondon had read my post about Roxy and the importance of Pet insurance (you can catch up with it here) and very very kindly offered to send Roxy a little pack of goodies. 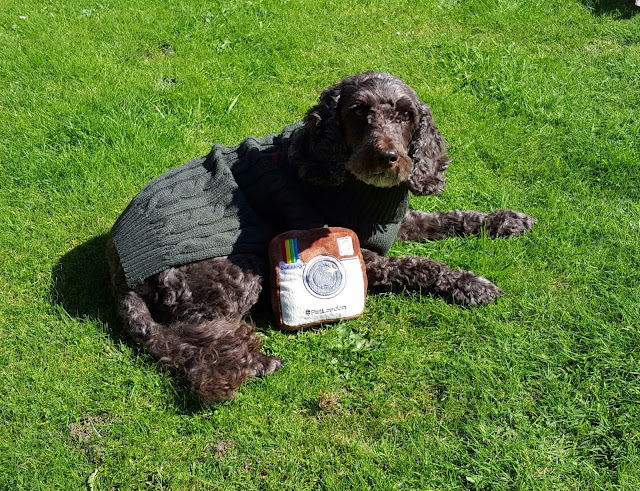 Everything arrived coincidently on the week of her sixth birthday - yes we do celebrate dog birthday's too, and also the week we got some bad news about Roxy's hip. She had been struggling to walk when she first got up which we thought was strange being that she wasn't that old. After a trip to the vets and some x-rays we were told that she may have to have a hip replacement which could cost up to £7,000!!!! Anything's better than seeing a normally happy, bouncy in pain though right? So, first of all, a little about PetLondon. PetLondon was founded by Melody Lewis in 2002 with the help of her Yorkshire Terrier Cross, Poppy, from Battersea Dogs home. 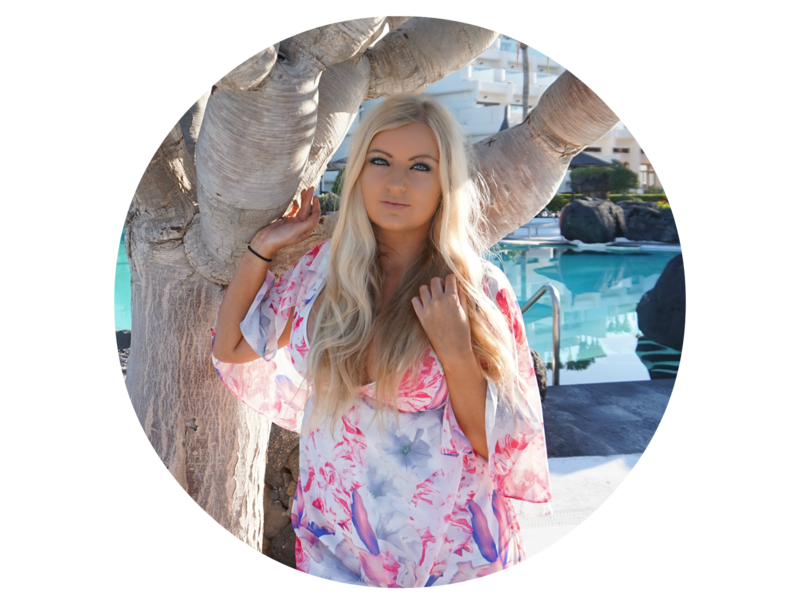 Poppy provided the inspiration to create a website that offered unusual, high quality and fun products to pet owners around the globe. The company has now grown considerably with a large dedicated sales team in the UK and with separate offices in the US, Japan and Europe. PetLondon actively supports specific dog related charities that are close to our heart, both by donating products that the animals can use and also financially. The company believes that every dog in the world has the right to a healthy and happy life - an ethos that makes me love the company even more. 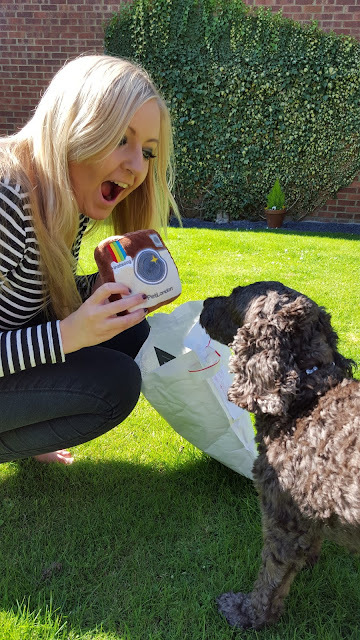 Anyway, so thanks so a beautifully sunny day, we opened Roxy's presents in the garden and to say she was excited was an understatement. "Super soft luxurious and stretchy fit. This cosy cable knit will keep your dog warm on the coldest of days. This sweater features a rolled neck and a sleeveless design for an easy fit. Cute embroidered Fox emblem finishes off this classic look." 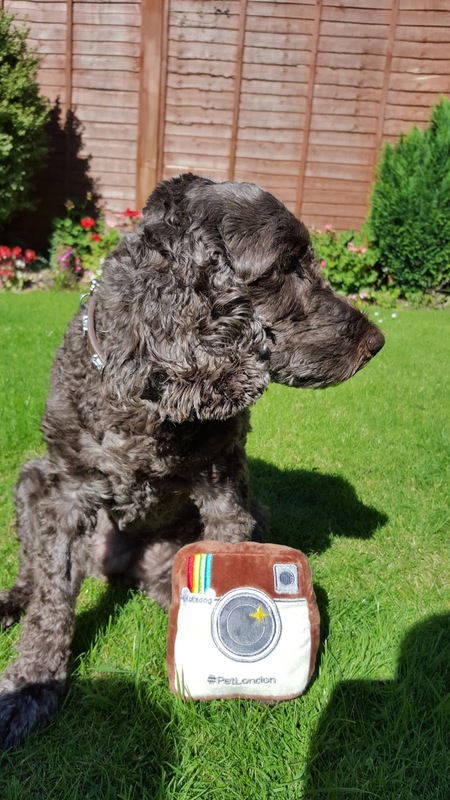 "One of our best sellers, our iconic plush dog toy for the dog that has everything! " You can absolutely tell the great quality of both items, which is really important with everything given to animals. The instadog has a squeaky element to it and it extremely soft. Roxy goes to bed with it now and sleeps with it underneath her chin! Here's a few snaps of Roxy enjoying her presents. 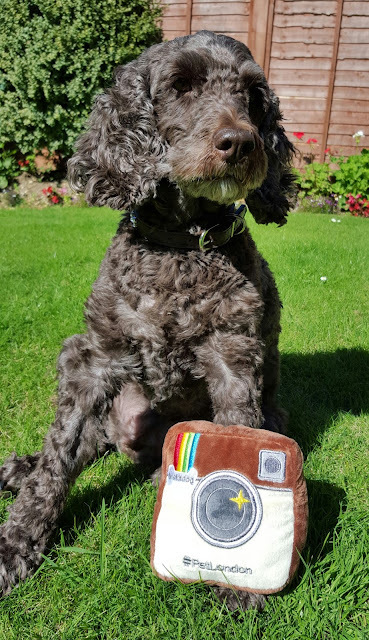 The Instadog is literally my favourite thing ever, and her's too; quickly becoming her favourite toy! Also a bit of good news, since these photos were taken Roxy has been referred to a specialist about her hip and we've been told she may not have to have the operation after all if we can manage the pain with medication and physio! Wahoooo! 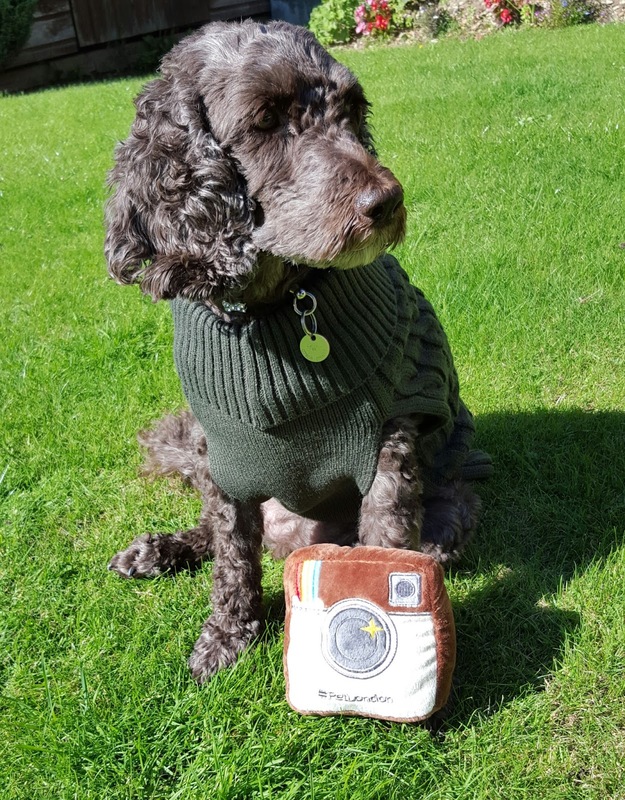 Roxy and I would like to say a massive thank you to PetLondon for being so generous and to Poppy for being such a fabulous tester to allow only the best products to be stocked. I'll definitely be back on the site ready for Christmas! wooooo, thank God she might not need the surgery! Pet London sounds great, I might get my kitty a treat too! She has an eye infection at the moment :( but she will be better soon!! !